We've launched 28 [as of today]... It's the largest constellation of Earth-imaging satellites in human history, and it's going to provide a completely radical new data set about our changing planet. But that's just the beginning. You see, we're going to launch more than 100 of these satellites like these over the course of the next year. It's going to be the largest constellation of satellites in human history. And this is what it's going to do: Acting in a single-orbit plane that stays fixed with respect to the sun, the Earth rotates underneath. They're all cameras pointed down, and they slowly scan across as the Earth rotates underneath. 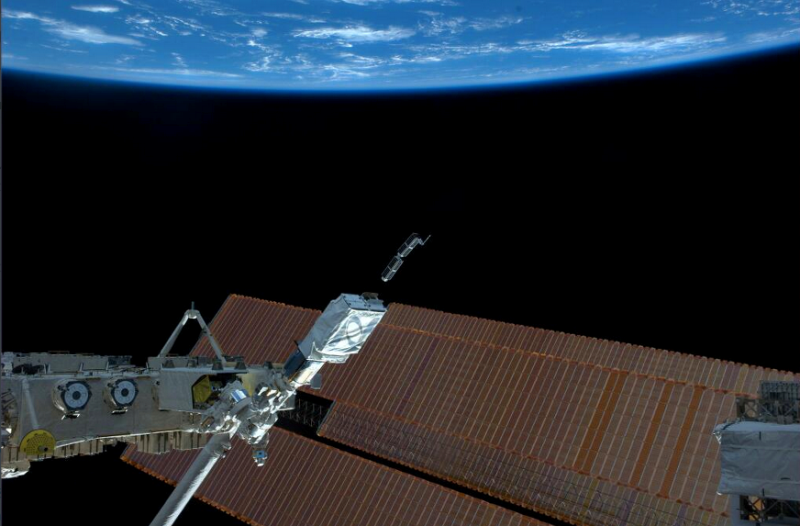 The Earth rotates every 24 hours, so we scan every point on the planet every 24 hours. It's a line scanner for the planet. We don't take a picture of anywhere on the planet every day, we take a picture of every single place on the planet every day. Even though we launched these just a couple of weeks ago, we've already got some initial imagery from the satellites and I'm going to show it publicly for the first time right now. This is the very first picture taken by our satellite. It happened to be over UC-Davis' campus in California when we turned the camera on. [W]e will be able to track urban growth as it happens around the whole world in all cities, every day. We'll be able to see the extent of all water bodies around the whole world every day and help water security. From water security to food security. We'll see crops as they grow in all the fields in every farmer's field around the planet every day. and help them to improve crop yield. This is a beautiful image that was taken just a few hours ago when the satellite was flying over Argentina. The general point is there are probably hundreds and thousands of applications of this data, I've mentioned a few, but there's others: deforestation, the ice caps melting. We can track all of these things, every tree on the planet every day. If you took the difference between today's image and yesterday's image, you'd see much of the world news — you'd see floods and fires and earthquakes. And we have decided, therefore, that the best thing that we could do with our data is to ensure universal access to it. We want to ensure everyone can see it. Thank you. (Applause) We want to empower NGOs and companies and scientists and journalists to be able to answer the questions that they have about the planet. We want to enable the developer community to run their apps on our data. In short, we want to democratize access to information about our planet. Robbie Schingler, a co-founder of Planet Labs, met the director of NASA Ames, Pete Worden in Houston, TX. It was an inauspicious start to what was to become an eventful relationship that helped change the direction of the U.S. space program. The paper never materialized, but an unusual friendship and mentoring relationship did. When Worden became director of the NASA Ames Research Center in Silicon Valley four years later, he recruited the group of Houston 20-somethings, along with a handful of their friends. Included were Schingler and Chris Kemp, then 28, who would become Ames’s director of business development and later its chief technology officer. Worden told SpaceNews that the nine years he spent at Ames were the most enjoyable of his 40 years of public service. The future of NASA and SDI are a separate topic for others to address. Here at GreenPolicy we are tracking the utilization of technology that has moved from 'first generation' military purposes to first generation "New Space" 'open' uses. The democratization of space envisions moving from military-dependency to civilian / educational / environmental / scientific / engineering / resource monitoring and management -- a full spectrum of #EarthScience that, hopefully, brings a future of environmental-national-global security. Our position is that the application and re-purposing of initial space-borne military systems can be and should be applied to earth resource monitoring and management as legislative *technology transfer* has codified over the past two decades. The successful restructuring of the old Cold War systems is a challenge, without question, yet the example of Pete Worden and Planet Labs bring both hope and a direction that is worth pursuing in the face of rising security challenges that are global and threats to security within and across borders. OpenStack "Cloud in a Box"
The "New Space" field is pioneering the study of our blue planet with multiple new platforms monitoring earth systems and resources. PlanetLabs, an early-stage new space pioneer, is out in front with its emphasis on open data sharing. Its mini satellites are called flocks of "Doves". 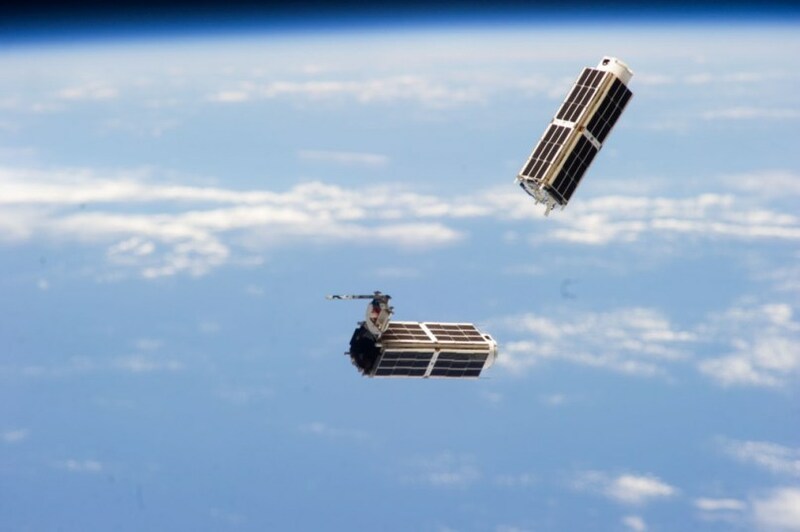 Mission: "Democratizing Access to Information About the Changing Planet"
Planet Labs has raised more than $160 million and launched 73 global imaging satellites. 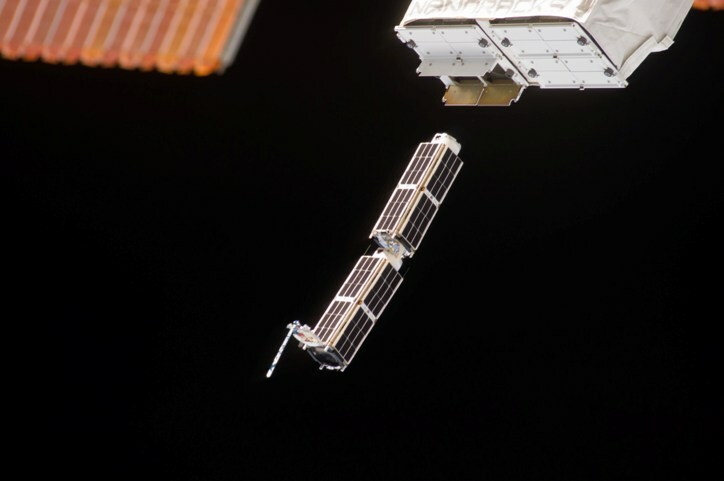 The growth was hard to imagine three years ago, when co-founder Will Marshall built the first of the miniature satellites nicknamed “doves” in a Silicon Valley garage. "It is time, from a unique overview of our blue planet enabled from space, to address climate issues, sustainability challenges, and a host of existential challenges." It's time for an Earth point of view! NASA’s Orbiting Carbon Observatory-2 (OCO-2): A game changer? Soon, each of us will be able to connect to and share earth-data as students of earth-space science and new digital networks. With open data, links and digital apps, schools and future generations will learn new ways of seeing as citizens of the planet. This page was last modified on 23 September 2018, at 23:37.